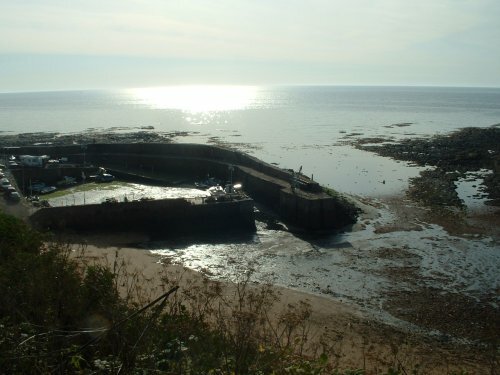 Crail is located at the eastward end of the east neuk,and can easily be got to by following the coast road through Anstruther,or by following the coast road from St Andrews. 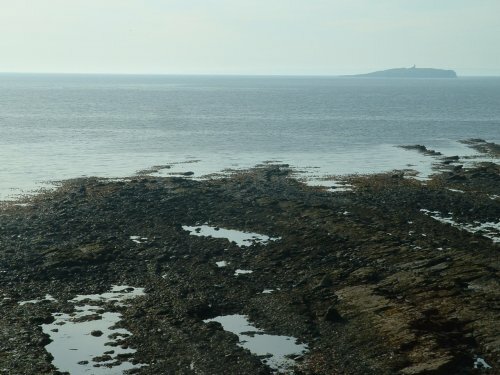 The mark here is a low water rock mark and is located right beside Crail Harbour.Follow the signs for the harbour in the town and park where the notices show.Public parking is not allowed in the harbour area,but it's a short walk down the hill from where you can park. The mark is accessed from the beach adjacent to the harbour. In this photo the rock mark to fish is on the far right.I've taken it from here to show the proximity to the harbour itself. You won't get an awful long time fishing here,but it is productive in the summer,with red cod,coley,and flounder. Bit too dangerous in the winter,and keep an eye on the incoming tide. This photo shows better the actual area to fish. The May Island in the background is also a good direction for casting.The ground here is a bit mixed with clear patches and kelpy patches,but this allows for a few different fish to be possible,especially on a late summer evening low water on a nice quiet night. Again it's one of those places which is either very good,or very bad.Tide time,height,and weather conditions need to be just right.